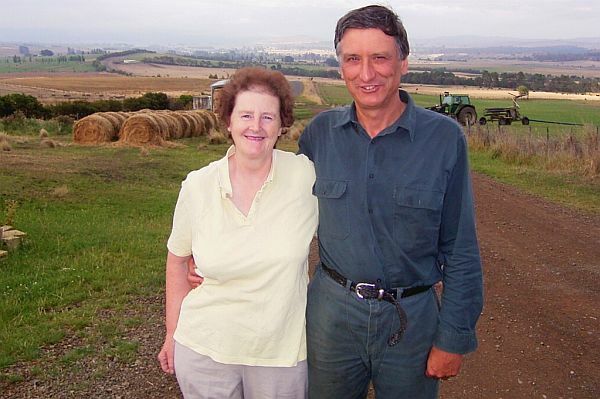 Farmers: Bernard and Margaret Brain, Company Directors Rotherwood, Ouse, Tasmania. Diversified Enterprises: fine wool and prime lamb production, Angus stud and beef herd, hay, cereals, essential oils, poppies, vegetable seed crops, pasture and pasture seed, vineyard. Time management is crucial in a diversified enterprise. 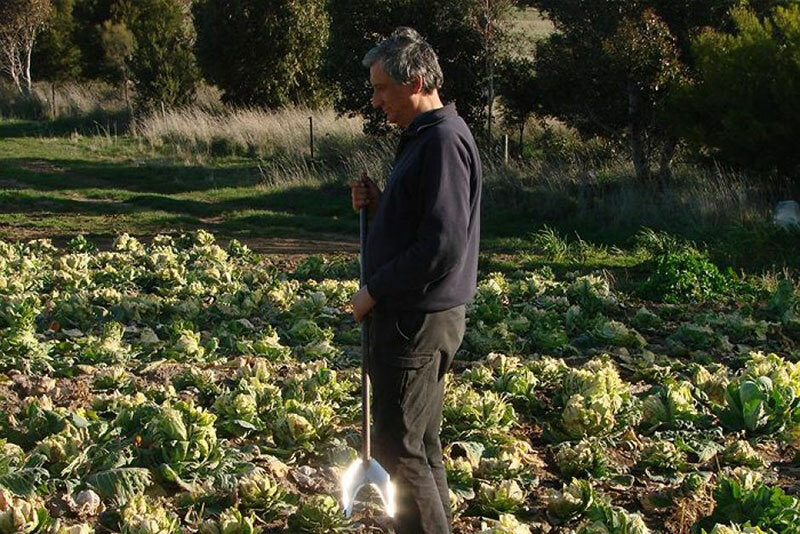 The story of farming on Bernard and Margaret Brain’s property ‘Rotherwood’, at Ouse in Tasmania’s Derwent Valley is one of constant evolution and refinement over more than half a century, with an eye always on new market opportunities and a better bottom line. Broadly speaking, the Brains have four enterprises: livestock, essential oils, cropping, and most recently, a vineyard. 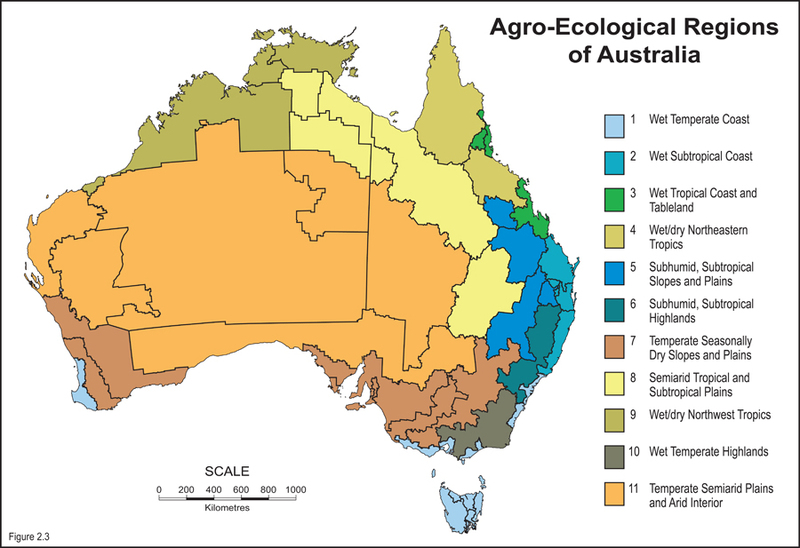 They have trialled a wide variety of crops over the years – as many as 20 in the past two decades. Some were not successful; others have come and gone as economic or agronomic factors changed. The Brain family moved to Ouse in 1947, taking up a soldier settlement block following World War II, later buying out a neighbour to bring their holding to 1000 hectares. With limited dryland cropping, livestock formed the basis of the original operations established by Bernard’s father, Brian. He started with prime lambs, which quickly gave way to a fine wool Merino flock. In the past decade sheep operations have been revised in the light of changing markets and the 4000 head flock is now 50:50 wool-meat production. The Brains also established an Angus beef herd and stud operation in the late 1950s, using bloodlines brought to Tasmania in the 1800s. An agricultural downturn in the late 1960s, and a dramatic fall in wool prices in the early 1970s provided the impetus for ongoing diversification at ‘Rotherwood’. The Brains were among a group of Derwent Valley farmers who funded an evaluation of alternative agricultural enterprises for the region. On the ‘possible’ list was essential oil production. Bernard says his father and a neighbour decided to give peppermint oil a go, based on the long-standing example of lavender oil production in northern Tasmania. He built his own steam distillery on the property to process the oil, and it became a viable part of the business for almost 30 years. But the United States now dominates production. Falling prices, the higher Australian dollar and variable yields have made it difficult for local producers to compete. The Brains have trialled a number of other essential oil crops over the years, including parsley, dill, black currant bud and fennel, often supporting research with the University of Tasmania. However, the world market for some of these products is limited, says Bernard. “The global demand for parsley oil is only three tonnes a year and almost all of that is now produced in northern Tasmania.” The Brains continue to produce fennel oil – around 1250kg a year – and keep their options open for similar oil crop opportunities. Regular broadacre crop rotations on ‘Rotherwood’ include feed and malting barley, feed wheat, hay and field peas. However, contract cropping high value horticultural and seed crops has also been a crucial part of their business for many years. They have grown poppies for more than 30 years, adding other high value horticultural and seed crops to the mix in the 1990s, with demand from seed production companies such as Bejo Ltd. The contracting company provides the seed or seedlings and crop expertise, and the Brains provide the land and farming skills. A $1.2 million irrigation expansion over the past 10 years has increased irrigation capacity to 400 hectares, which allows them to grow more horticultural crops and irrigated pasture, and to increase yields on crops, such as barley, traditionally grown as dryland. Bernard established a vineyard in 2002, which emerged from a personal interest in wines and winemaking. He had trialled six different varieties in a plot near the house, “just to see whether the fruit would ripen”. While his home brew proved “a bit hit and miss”, Bernard decided to see what a wine maker thought of the grapes. “They got quite excited,” he says. It emerged that the property included an ideal site for producing high quality, highly aromatic cold-climate grapes: gravelly dolerite soils on a steep hillside that allows cold air to drain quickly, preventing frost damage. “We had a good profit one year, so put in a hectare of Chardonnay and Pinot Noir grapes, based on advice from the winery.” From there it has been a slow and steady approach, adding one hectare a year for five years, before “holding fire” for a few years. Every hectare costs between $50,000 and $60,000 to establish before there is any return. After 10 years Bernard feels he is reasonably on top of the grape production. Bernard says the importance of multiple enterprises was highlighted in 2010, when they had three setbacks in the same year. Low alkaloid levels in their poppies substantially reduced returns and grape yields fell by 45% in the wake of bad weather. With just three full time staff, including himself, Bernard admits he probably does more hours than he should to stay on top of everything. His niece, Helen Sproule has taken charge of the day-to-day livestock operations, which frees Bernard to concentrate on the cropping and the vineyard. Helen says she loves the diversity; it makes every day different. But almost 90% of the year is a “busy time” at Rotherwood. The investment in irrigation and other equipment has allowed them to improve their on-farm efficiency, and to increase gross farm income by 120% over the past eight years. They use casual labour as needed, but Bernard says the expansion of the vineyard could lead to the need for its own manager to make sure operations remain on schedule. Turning a Good Idea into a Profitable Venture.